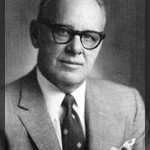 A graduate of Dartmouth and close boyhood friend and rival of Princeton’s F. Scott Fitzgerald, Reuben Warner spent 12 years as a representative of Guardian Life, becoming the country’s second highest in volume of paid for business and a member of the President’s and Leader’s clubs. Mr. Warner’s business career was interrupted twice by serving in two wars. In World War 1 he served in France as a biplane fighter pilot. He went back into the army again in World War II, this time with the 81st infantry. Along with Robert Keane, Mr Warner founded the original agency in the mid 1940’s which later evolved into Reuben Warner Associates, Inc. 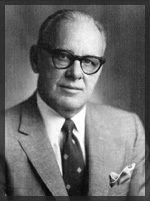 He was a competent and hardworking leader in the Accident & Health and Special Risk industry until his death in 1966. He also was an avid sports fan with widespread interest in athletics. At Reuben Warner, continuity is the key to our success. Our travel accident senior underwriting staff is comprised of experienced and competent veterans, most with at least 20 years of service in our industry.